Cost effective, high quality commercial task chair with full BIFMA certification. The Zapf Task Chair is a phenomenally affordable ergonomic task chair developed by Australian furniture company Innerspace. The Zapf chair was launched at the Orgatec furniture fair in Cologne Germany in 2018. It was the crowd favourite and has since been been embraced by Australian designers and companies. 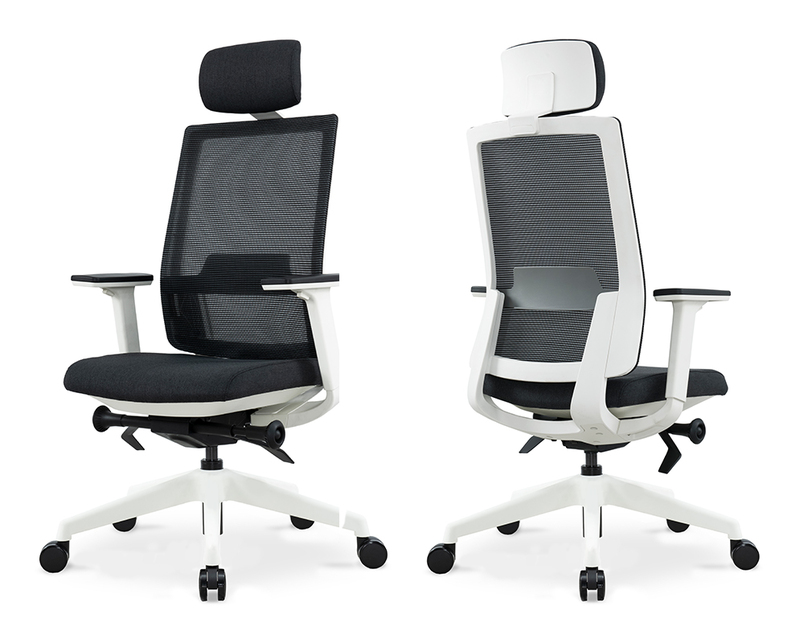 To keep up with demand Innerspace is stocking the chair in both the black and white model at its headquarters in Brisbane and is available nationally with next day shipping. If you are looking for an ergonomic office chair that won't break the bank and will perform long term then look no further than the Zapf. The Zapf is also available in black frame option. Please refer product specifications below for additional details. Part of the INNERSPACE DIRECT range.